Bored of the traditional-looking Easter eggs? ‘Tis the season to innovate! Below are listed some of the most creative Easter egg designs. These designs are not only creative, but can be made with the stuff that you readily have at home. Paint a bubble wrap with multiple colors. 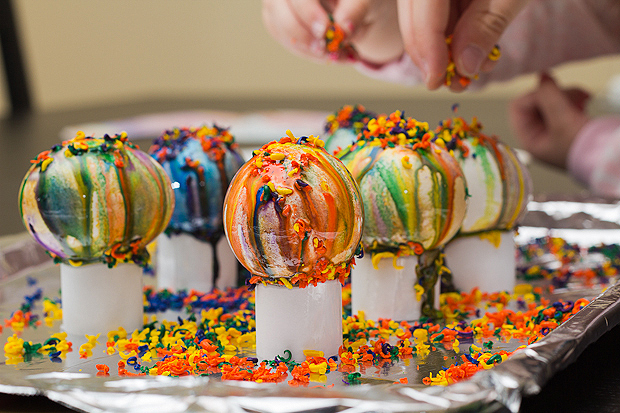 Hard-boil eggs and roll them over the painted bubble wrap (make sure the paint is wet enough). Boil the eggs. Once they cool off, roll them gently over a towel so that cracks develop on them. Choose the food colors of your choice and mix each color separately in a bowl with cold water. 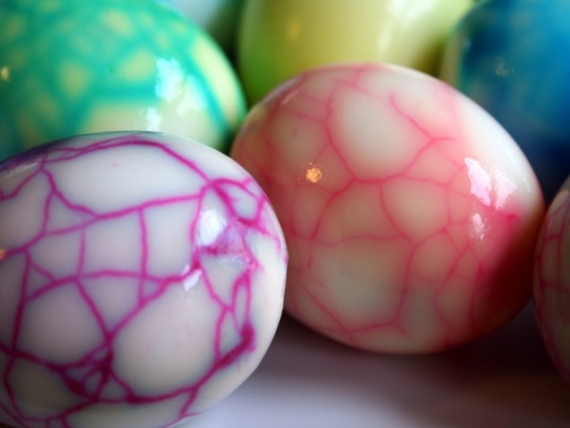 Refrigerate the cracked eggs soaked in the food color plus water mixture, overnight. 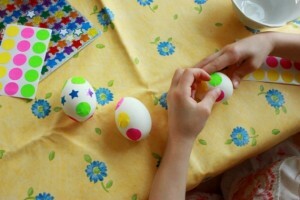 When you peel the shell the following day, you’ll see beautiful colorful and patterned eggs. Collect colorful flower petals. Hard-boil the eggs. Apply glue in the areas where you want the flowers placed. Gently press the petals on to the sticky area and allow them to dry. This is one of things you could do with the chipped crayons that your kids refuse to use. Take off the wrapper from the crayons and grate them on tissue napkins. Boil the eggs in water and vinegar (for every cup of water use 1 and half tablespoon of vinegar) for 10 minutes. 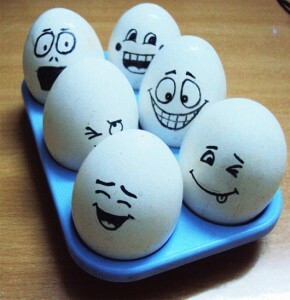 Remove each of the eggs from the boiling water one at a time and let them cool off for 10 minutes. Sprinkle the crayon shavings on the eggs and viola! 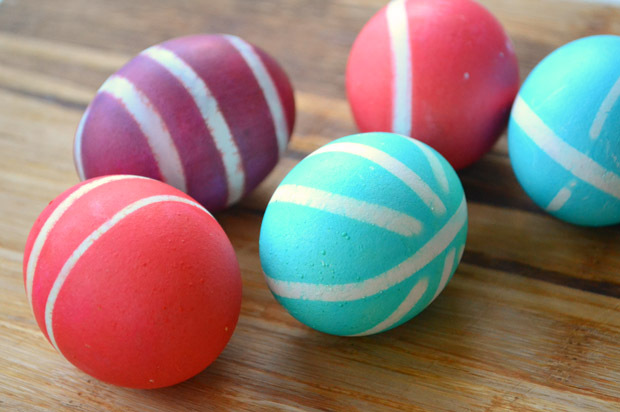 Your colorful Easter Eggs are ready! 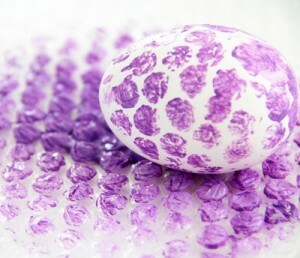 For those who like to choose the patterns on their eggs, this is the perfect Easter egg design. All you have to do is buy little stickers of the pattern of your choice. From butterflies to hearts, to apples to leaves, it could be anything! Stick them over the hard-boiled eggs, and dip the entire in a bowl of the liquid color of your choice. Once it has dried, take the stickers off and you’ll find them imprinted on your Easter egg. Making a man out of an Easter egg is easier than it looks. 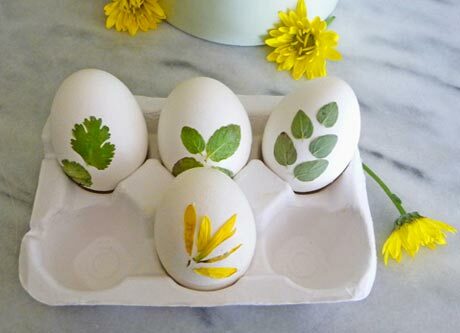 All you need is a little egg stand and some creativity. Give him a color, a face and make clothes and legs off the stand. So doodling is your thing? 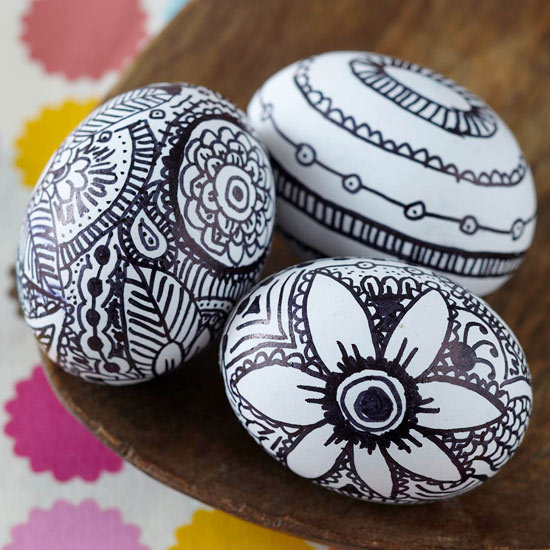 Why not put it to some creative use by doodling Easter eggs? 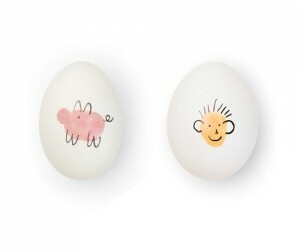 Hard-boil the eggs and doodle away! Hard-boil eggs, grab a couple of rubber bands and wrap them chaotically around these eggs. 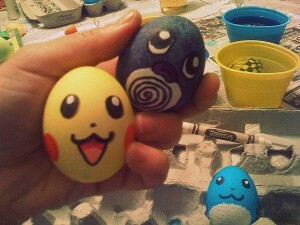 Later paint these eggs with the colors you like. Once the paint dries off, take the rubber bands off. Always hard-boil the eggs before decorating them. 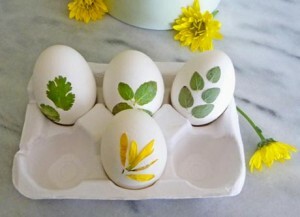 Dip your thumb in the paint of your choice and make an imprint over the egg shell. Try using light colors so that you can you draw over the thumb imprints. Hard-boil eggs and with a black sketch pen give each Easter egg a different emotion on their face. This entry was posted in Guides and tagged best easter egg designs, colorful easter eggs, diy easter eggs, easter, easter crafts, easter eggs, easy way of decorating easter eggs, how to dye easter eggs, refresh for spring, simple easter egg designs. Bookmark the permalink.